Description: Spencer Savings Bank is a business categorized under others depository institutions, which is part of the larger category savings institutions-federal chartered. 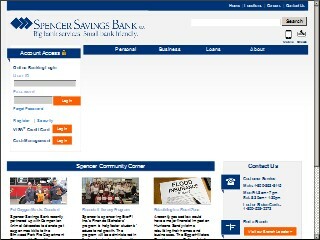 Spencer Savings Bank is located at the address 107 South Main Street, Lodi, NJ 07644 in Lodi, New Jersey 07644-2211. The President is Jose Guerrero who can be contacted at . Location & access map for "Spencer Savings Bank"